Posted January 27, 2019 by Sarah Lederle & filed under . Race Director Dan Carter presents 2019 Eukanuba 8-Dog Classic winner Maria Torgerson with her prize following the race. 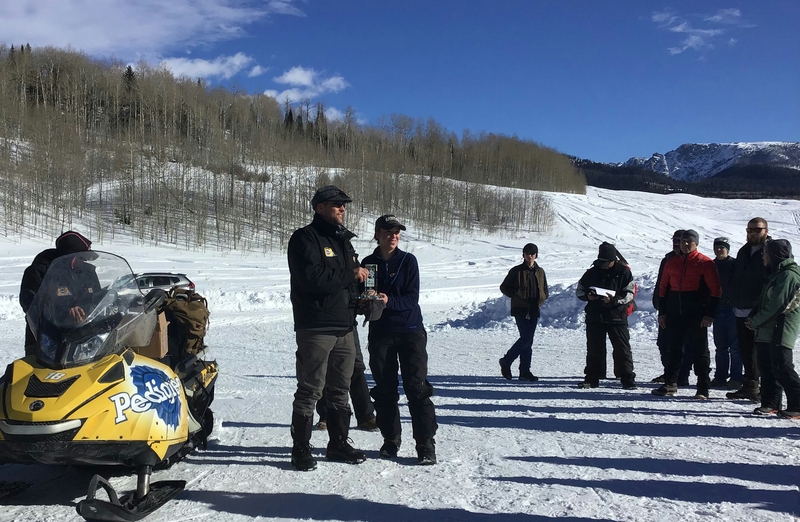 The Eukanuba 8-Dog Classic concluded today outside of Pinedale, WY. 16-year-old Maria Torgerson of Red Lodge, MT was declared the champion with an overall time of 3:42:58 over the 53-mile course. 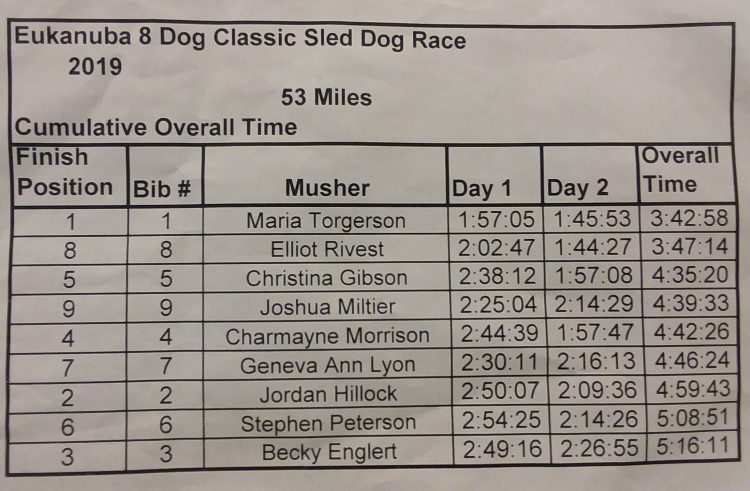 Congrats Maria and to all our awesome 8-Dog competitors!